On Friday 4th December 2015, the Selangor Islamic Religious Department (JAIS) raided the office of Hizb ut Tahrir / Malaysia at Section 7, Bandar Baru Bangi, Selangor. They stormed into a special press conference held by Hizb ut Tahrir / Malaysia which was attended by several media representatives, in the party’s effort to clarify the defamation and confusion in the edict (fatwa) issued by the Selangor Mufti Department, dated 17 September 2015 against Hizb ut Tahrir. The fatwa has outlawed the party and all its activities in Selangor. In the raid, four members of Hizb ut Tahrir have been arrested under Section 12 and 13 of the Shariah Criminal Enactment of Selangor 1995. Those arrested were the Spokesperson of Hizb ut Tahrir Malaysia, Ustaz Abdul Hakim Othman and three other activists of the party: Sopian Jahir (aka Umar Hussein), Wan Hisyam Wan Salleh and Hishamuddin Ibrahim. During the raid, JAIS searched and seized a few items in Hizb ut Tahrir’s office, among others were Abdul Hakim’s laptop, al-liwa’ and al-rayah (flags) and all the pictures placed on the walls and the office’s notice board. Also seized were mufflers written with La ilaha illallah Muhammad Rasulullah, worn by the four during the press conference. All those arrested were taken to the Islamic District Complex of Hulu Langat for further investigation. They were then released on bail the same evening but required to come back for interrogation on the 7th and 8th December. We would like to express our deepest regret of the arrest carried out by JAIS on the basis of defamation contained in the fatwa. We strongly oppose the arrests and the seizure of our belongings during the raid. The raid that was done hastily without examining the truth of every point contained in the fatwa is really a shame for a religious institution that is supposed to gain public respect with its just and professional attitude. In the special press conference held right before the arrest, the Spokesperson of Hizb ut Tahrir Malaysia explained about the fatwa issued by the Selangor Mufti Department, which is full of defamation and confusion on Hizb ut Tahrir. Hizb ut Tahrir is an international Islamic political party, whose members and followers numbered in millions worldwide. Therefore, the fatwa is in actuality not only addressed to its members in Malaysia, but also across the globe, including its supporters from the scholars of the Ummah. Since its establishment more than 60 years ago, Hizb ut Tahrir has been actively working in more than 40 countries around the world to restore the Islamic way of life by re-establishing the Righteous Khilafah upon the method of the Prophethood. The da’wah and thoughts of Hizb ut Tahrir are well known throughout the world and are increasingly accepted by Muslims, including Muslims in Malaysia. It is thus an absurdity to make such a defamation against Hizb ut Tahrir to the public at large. Apart from that, it is very clear that there are efforts from certain parties to prevent and stop the increasingly accepted da’wah of Hizb ut Tahrir with such a fatwa. In this regard and as a gesture of brotherhood, we hereby advise and urge the Selangor Mufti Department to retract the said fatwa. 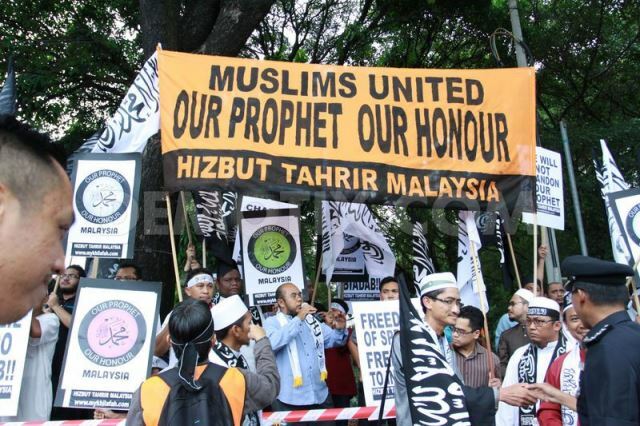 Apart from the fatwa being full of defamation and confusion, it is indeed inappropriate for the Selangor Mufti Department and JAIS as its enforcement body, to have acted against the divine rule on Hizb ut Tahrir, an Islamic political party that is working for Islam.